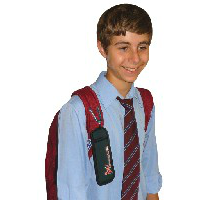 Pouch to suit EpiPen® or Jext® auto-injectors. 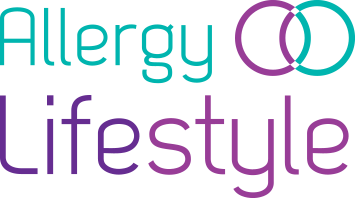 This carrier holds one EpiPen® or Jext ®adrenaline pen. 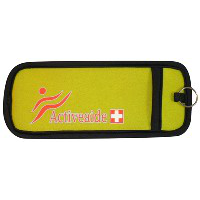 This slimline pouch for holding an EpiPen® auto-injector is designed to be light, compact and convenient. 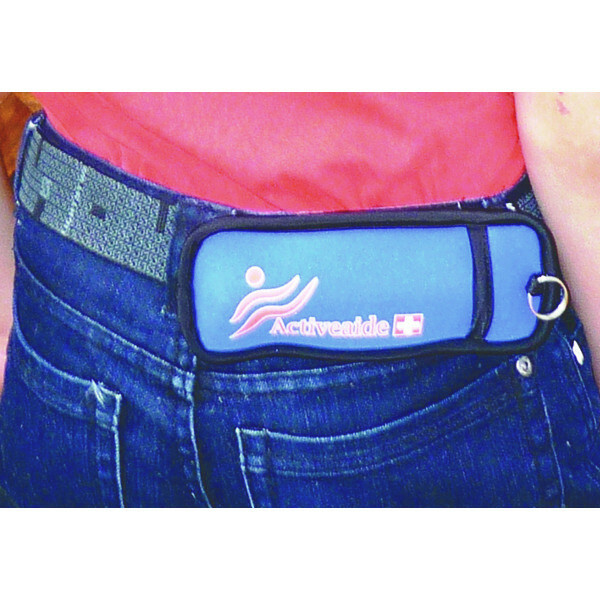 It can be worn discreetly on your belt because it is less bulky than other cases on the market. The pouch is made from Neoprene. Therefore it’s water resistant so your pen will be protected from the rain. In the case of an emergency you will be able to access your pen quickly as the closure on this pouch is a flap that folds down. You can attach it to a belt or strap by using the two loops on the back of the pouch. There is also a key ring loop on the front. Available in three colours :in Lime Green, Dark Green and Blue. 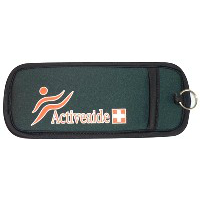 This carrier will hold one EpiPen® or Jext® adrenaline pen. i bought the dark green case for my teenage son , he has to carry two epipens they fit neatly , he is very happy with it instead of carying 2 pens separately . i purchased a case exactly the same in blue years ago for myself and still in great condition they are so durable . Product was as expected. My son. Loves the slim low profile design. I’m happy because of its durability. Good product. It’s made of tough stuff. The dark green model is discrete. On the size front, it takes an Epipen or Jext, but a bit short for Anapens. This is a really handy case. It is perfect for someone who needs to put their injection in a pocket rather than a bag. I’m thinking particularly of teenage boys and young men. Unfortunately it is a little short for the new anapens but epipens fit perfectly. Thanks to customer services who sorted me out when my first choice of pouch wasn’t suitable.